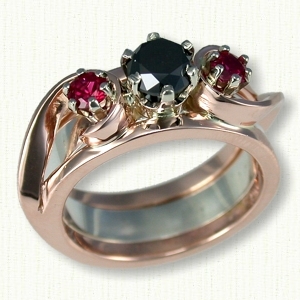 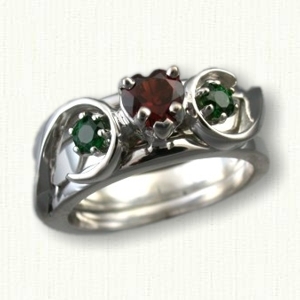 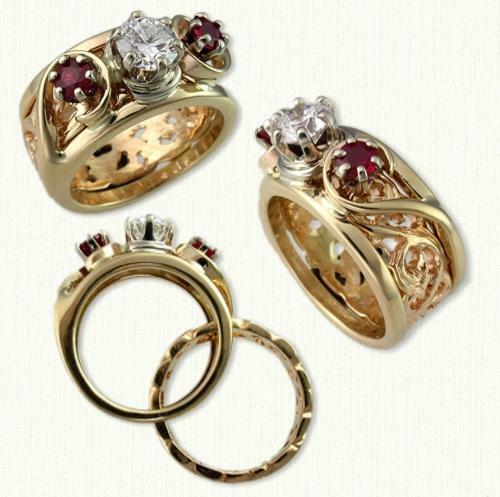 Shown: 14kt yellow gold Swirls Reverse Cradle set with a 0.75ct round diamond and two 3.5mm rubies. The cradle measures 9mm in width and is accompanied by a 6mm pierced 14kt yellow gold inner band. 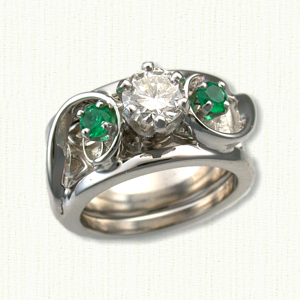 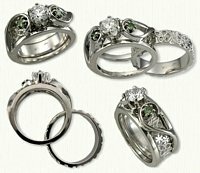 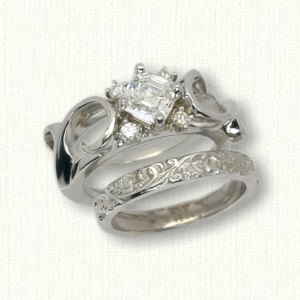 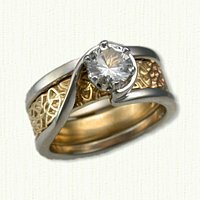 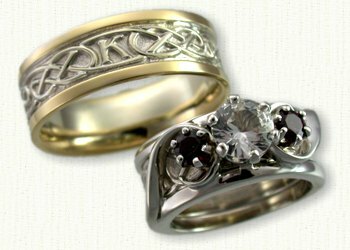 Visit our matching Floral Scroll bands page for other ideas.